Chili is always a favorite, and preparing it just got a whole lot easier. 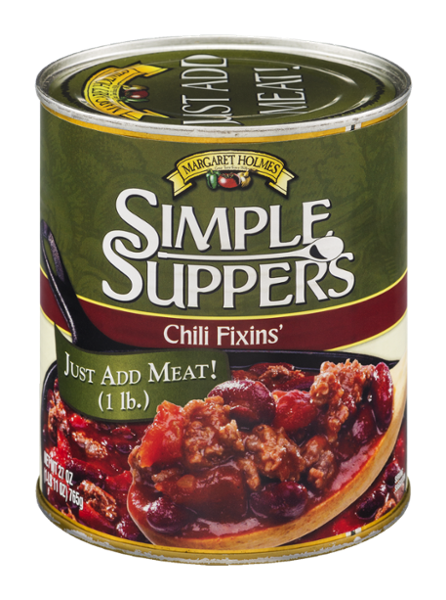 This Simple Supper meal includes diced tomatoes, kidney beans, roasted garlic, salt and spices. Just add ground beef, ground turkey, ground chicken or ground sausage to complete the dish.